Ferris is a 5-6 month-old Border Collie mix. More Border than not, we think he might have a touch of Spaniel, as he is smallish for his age, has more barrel to his chest, and has longer, rounded ears. He is classically marked and has a rough coat, long and so silky and luxurious, you just can't help but stroke him. Upon delivery to me Ferris was still groggy from his neuter surgery. He was bearing some weight on his right rear leg, though it was obviously bowed. He was to the vet the next day for x-rays. While waiting to be seen, I felt his hip going in and out of socket. The X-rays revealed a badly remodeled hip socket for such a youngster and strange anatomy in the hock. It was decided in his best interest, for a quality and pain free life, to amputate. Ferris is an absolute love. He captured the hearts of all the clinic staff in about 2 seconds. He is so gregarious and there is no person he will not bound up to, to ply his charms. Can we say “social butterfly”? He adores his foster siblings, large and small, so we are looking for a home where he will have K-9 companionship while his people are away. He rides very well for road trips, enjoying the scenery go whizzing by. He is housebroken and also understands how to use a doggie door. It was pretty amazing how quickly he resumed going through after his surgery. He is still very much a puppy so chew toys are a must. Adopters must be committed to work with the destruction and energy associated with raising a puppy, along with housebreaking accidents. As with all puppies, socialization and puppy obedience classes are a must. This will ensure that you will have an outgoing, socialized, well-behaved, and well-adjusted adult dog in your family. In addition to our application, applicants will be required to file out an extensive puppy questionnaire to assist us in providing Ferris with the best home possible. Please allow an additional day or two for the approval process. Ferris is such a prize. Whomever adopts this gem is very lucky. They don't often come along as nice as this puppy is. If you have an approved application on file you are ahead of the pack. If you haven't filed an application, what are you waiting for??? Ferris will be available for adoption on October 31st. His adoption fee is the same as all of our dogs even though BCIN has over 1K in medical fees invested to give this youngster quality of life. 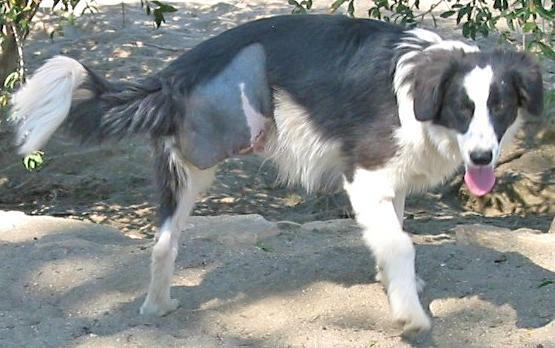 Our healthy adoptees help provide funds for the Ferris's we save. That, and of course the generous donations to our medical fund. Thank you to all who have contributed. You make it possible for us to continue saving dogs with medical needs that otherwise would not make it out of shelters. 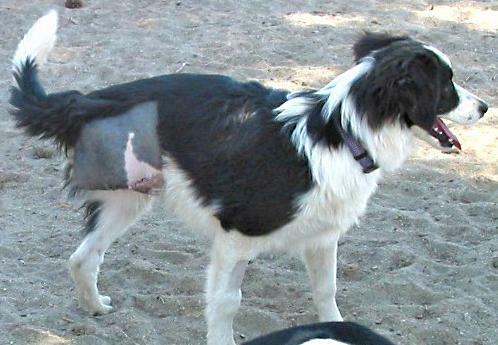 Young dogs like Ferris with their whole, wonderful lives ahead. 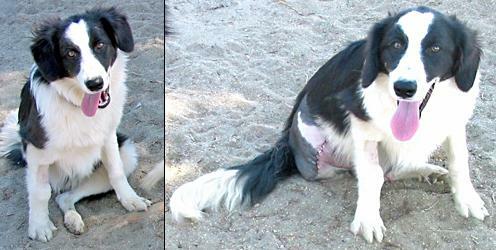 Copyright © 2010 Border Collies In Need, Inc. All Rights Reserved.